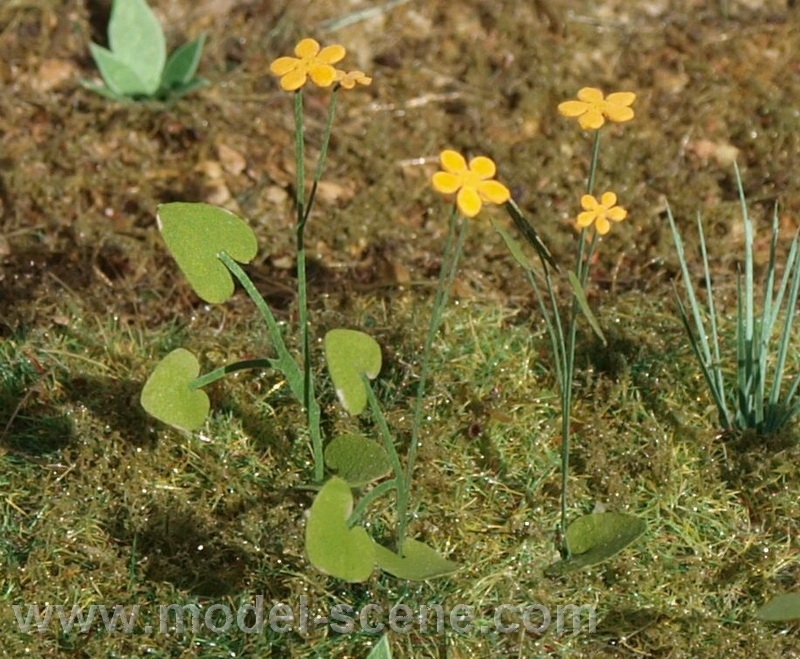 Marsh Marigold - laser cut product from coloured paper. 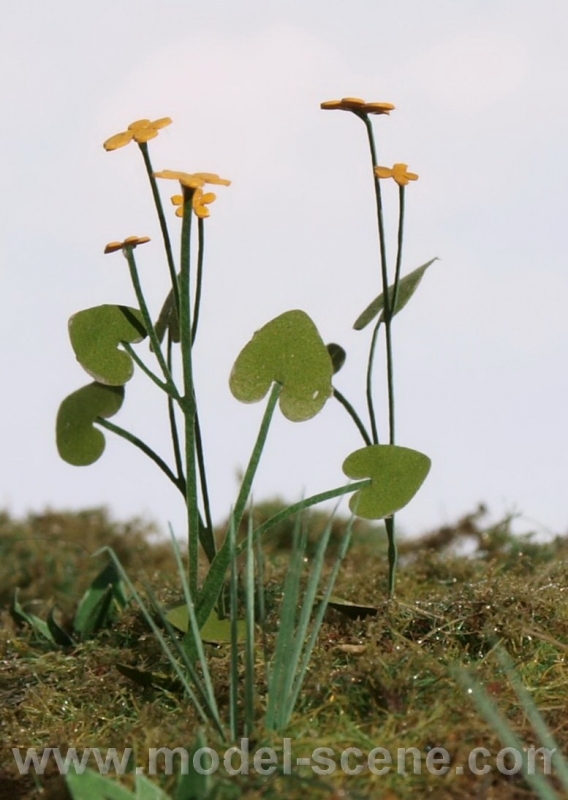 Contains 1 sheet of leaves, 2 sheets of stems - both from green paper + 1 sheet of flowers from yellow paper (about 140 yellow flowers). 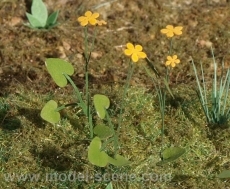 Just easy cut from the frame,complete flowers with glue and place them to the terrain. There is possible to paint our plants by acrylic or oil paints.